Come visit Juan Carlos Gonzalez, Director of Global Sales, at Table #14 at Tour Connection LA 2017! Superior, Deluxe and Studio Suite rates are room only, exclusive of VAT. Continental breakfast available at £8 per guest per day or English breakfast at £15 per guest per day. 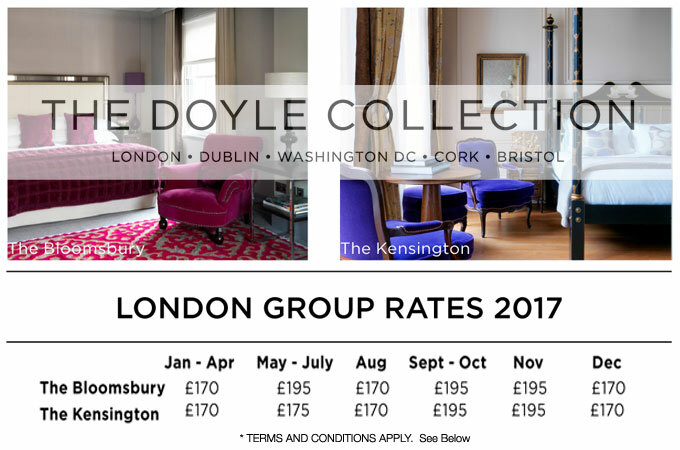 Higher Suite category rates at The Kensington and The Marylebone are inclusive of continental breakfast, exclusive of VAT. Subject to availability. Valid from 1st April 2017.